US based Yum! 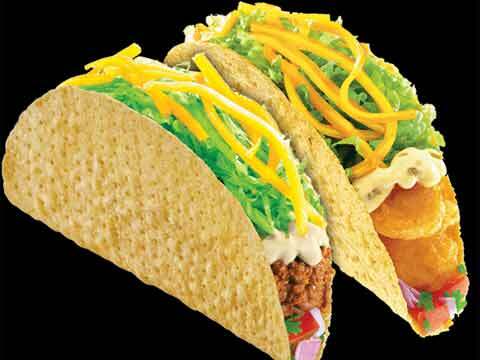 Restaurants which owns and operates fast food restaurants are looking at aggressive expansion for Taco Bell. New Delhi: US based Yum! Restaurants which owns and operates fast food restaurants are looking at aggressive expansion for Taco Bell. The group is planning to open over 25 outlets of the Mexican chain by 2016. Taco Bell has recently opened two outlets in Mumbai at RCity Mall, Ghatkopar and Viviana Mall bringing delectable tacos, burritos, and other Mexican specialties to Mumbai. With this opening, the Mexican chain now has seven outlets - four in Bangalore and three in Mumbai. "We are expanding our footprint in India. We will open 20-25 Taco Bell outlets by end of 2016 and also enter new cities,” said Unnat Varma, General Manager - Taco Bell & Pizza Hut, India. With over 6000 stores in 16 countries, Taco Bell is one of the leading Mexican food chains worldwide. "With Taco Bell, we are setting up a new food category of Mexican food. In the initial stage, we tested the water to check consumer acceptance of our food and getting the business model sorted,” added Varma. The group is also planning to expand after two years by opening 25-40 outlets every year. Taco Bell will focus on both, company as well as franchise owned outlets for its expansion.